When they think of ballet, lots of people think of a row of perfectly white swans: white tutus, white shoes, white faces. How can Michaela fit into this world? Not only is she black, but she’s an outsider in other ways: a refugee from war-torn Sierra Leone. Back in her home country, she saw things no child should ever see. Her father killed by rebels. Her mother starved to death. Her favourite teacher brutally murdered. Then she was adopted by an American couple, and taken to the US to start a new life. But settling in isn’t always easy, even when she finds a new passion for dance. 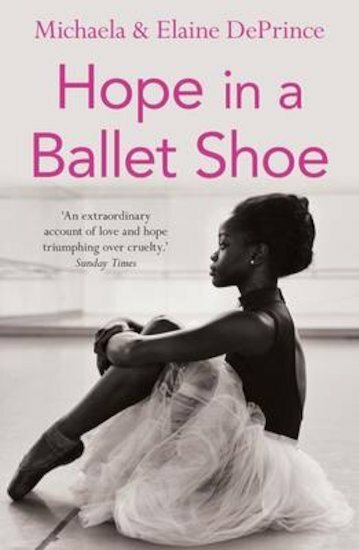 The world of ballet is a racist one, and Michaela has to fight for a place in a world that says it’s not ready for a black ballerina. Can she prove them wrong?